Professionally Supported, 100% GPL Themes. Here’s a WordPress Portfolio Theme that compliments your work. Your noteworthy and the most significant projects and services can be highlighted on your site’s homepage along with strategically-placed call to action. 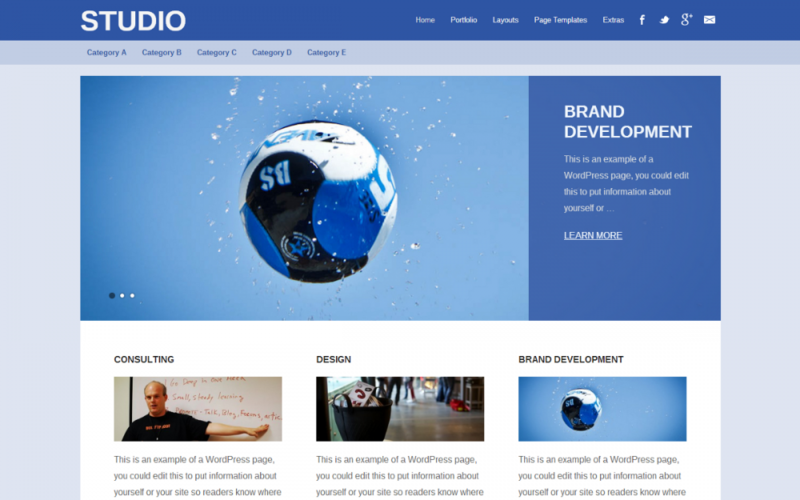 Studio is a is a Premium WordPress theme for Portfolio-based websites and Design Studios. Homepage is designed to highlight your services and projects along with a strategically-placed call to action. A separate portfolio page is also available to showcase all your work. Each portfolio item can have a strategically-placed call to action as well.